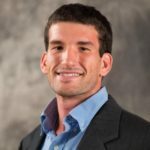 Works closely with Ben Esgro as a part of “The Collective” - an innovative co-coaching service provided exclusively by TSG. 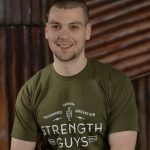 President & Co-founder of The Strength Guys Inc.
Ryan has been coaching people through fitness and lifestyle change since 2011 and has worked with all walks of life. 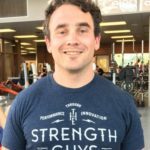 He primarily coaches individuals seeking rehabilitation/restorative training, and powerlifting athletes of all experience and skill levels. 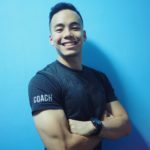 Ryan believes that mindset and movement work hand in hand and that through movement, we improve so much more than just “fitness”. 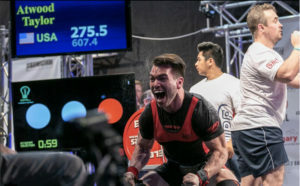 Co-owned a powerlifting gym (2016 - 2018) in Calgary alongside his wife Ericka. 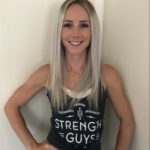 Voted "Best Looking Coach of 2018" at The Strength Guys Inc.
Ericka has been working in the fitness industry since 2013 and has coached a variety of individuals through many fitness domains including: strength, endurance, major weight loss (60+ lbs. ), chronic disease, injury rehab and pain management. She puts a strong emphasis on the science, as well as the psychology, behind sport performance. 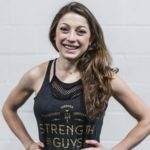 She started coaching powerlifting in 2015, co-owned a powerlifting gym from 2016-2018, and became an associate of The Strength Guys social media in 2018. 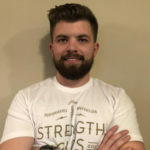 Her experience with programming, meet prep, game day coaching, as well as off-season training and recovery allows her to help clients successfully achieve their goals in a safe but effective manner. 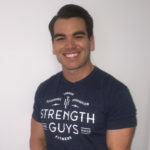 Her experience as a Fascial Stretch Therapist, Triggerpoint Therapist, and as a former physiotherapy assistant, gives her a strong background in injury rehab and chronic pain management. She has had the privilege to provide these services for numerous IPF World athletes. She takes a mindful approach with nutrition for both athletes and general population. 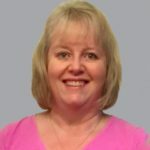 Her education, certification and passion to stay up to date with the latest scientific research allows her to provide clients with the best tools and guidance. 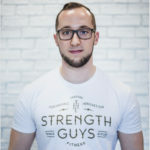 Her nutrition strategies allow clients to successfully improve their eating habits without dieting and without giving up their favourite foods. In addition to Ericka’s coaching resume, she is also a competitive runner and powerlifter. She enjoys running any distance (e.g. 10KM PR 0:48, Half Marathon PR 1:44) and also likes obstacle course races. 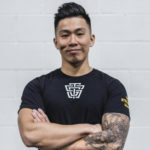 She is a competitive 47kg powerlifter in the APU/CPU and thoroughly enjoys helping to continue to grow the sport within Calgary. 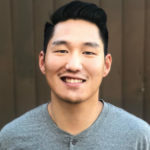 Experience in physical therapy, strength and conditioning, and most recently as an applied sports science intern at the D1 level. 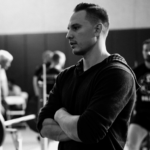 Areas of interest include energy system development, data science and athlete monitoring.